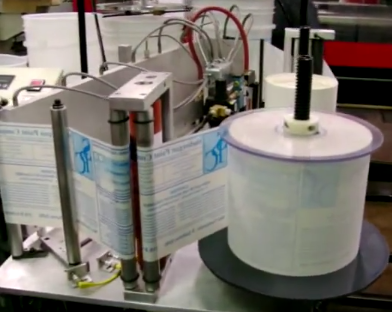 Heat Transfers | CPS Resources Inc.
Heat transfers are applied in the same fashion as hot stamp foils, utilizing a stamping die for vertical applications or a silicone rubber roller for roll-on applications. An image is transferred from the plastic carrier film to the product by using heat and pressure to create a durable union. Heat transfers can be implemented in numerous industries, like advertising, appliances, automotive, cosmetics, electronics and many more. CPS Resources, Inc. has the ability to transform you ideas into an excellent finished product. We can create artwork from your original hand painted artwork, computer generated graphics or just a general design concept. Our design team is able to engineer your artwork to perfectly fit any product shape. CPS Resources, Inc. is able to provide you with samples of this throughout the design process before you fully commit to the project. Our heat transfers can have metallic accents applied to them, making them ideal for cosmetic applications. Heat transfers don’t create a lot of waste as other decoration methods do, making them more environmentally friendly. Our thermage heat transfer labels are made on a PET film, which creates a durable and economical decorating method.